Here’s a tape packed full of early Simpsons episodes from Sky One, and I was clearly watching while recording, as I don’t think there’s any adverts in here at all, which makes a nice change for Sky tapes. First it’s The New Kid on the Block. 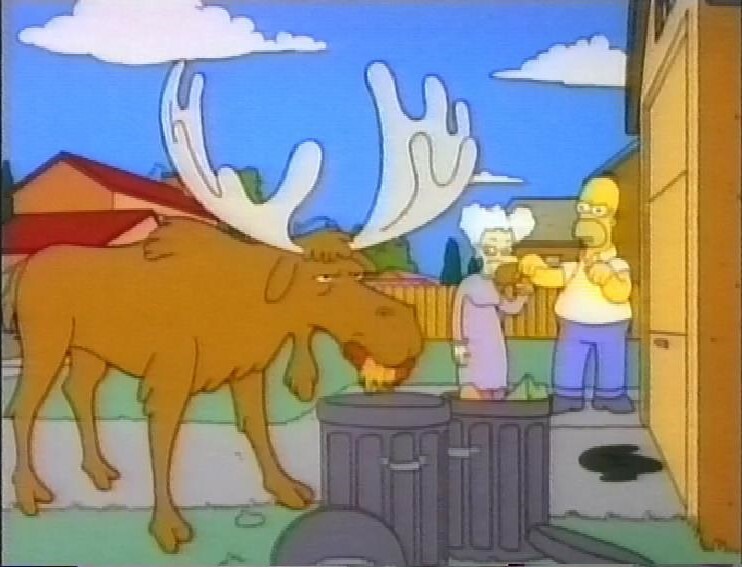 The Simpsons’ neighbours are moving, and she comes to complain that animals are eating his garbage. Cue a Northern Exposure reference. 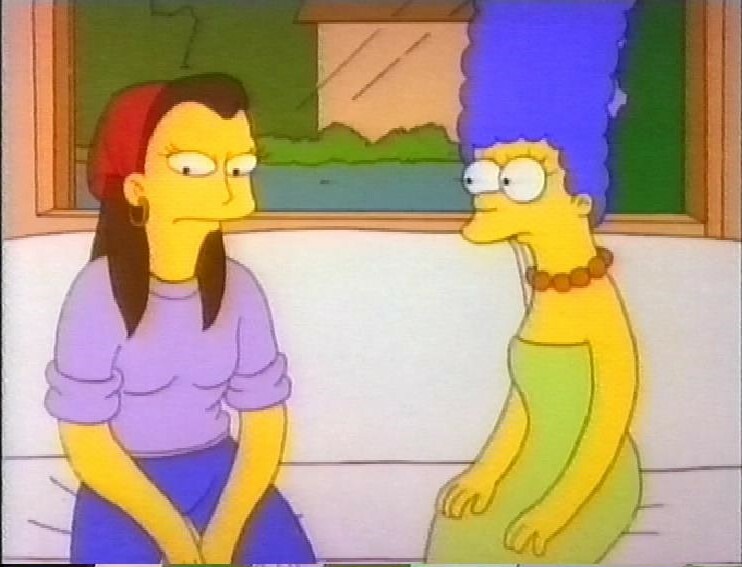 The new neighbor has a daughter, played by Sara Gilbert, for whom Bart rather falls. 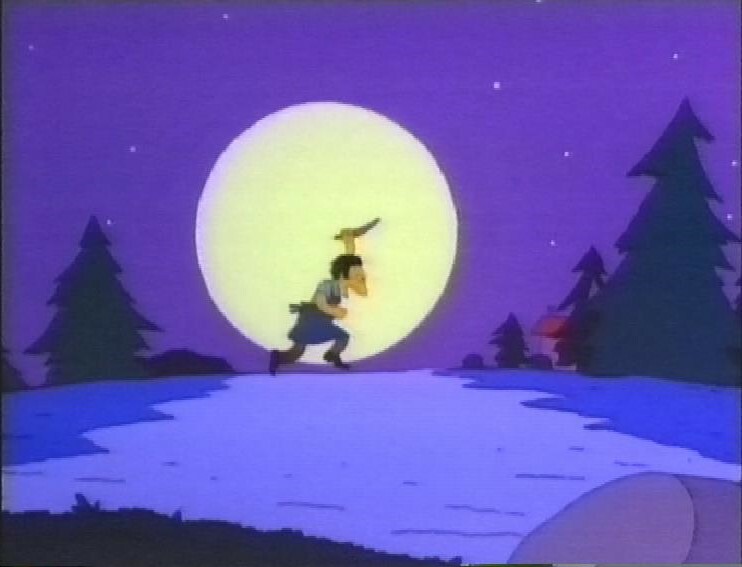 Moe goes on the hunt. Next, it’s Mr. Plow. 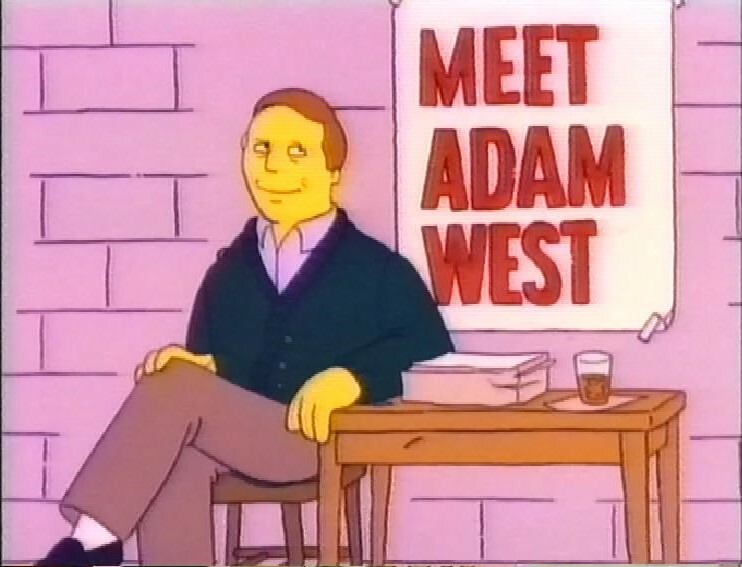 There’s a guest appearance by Batman himself, Adam West. 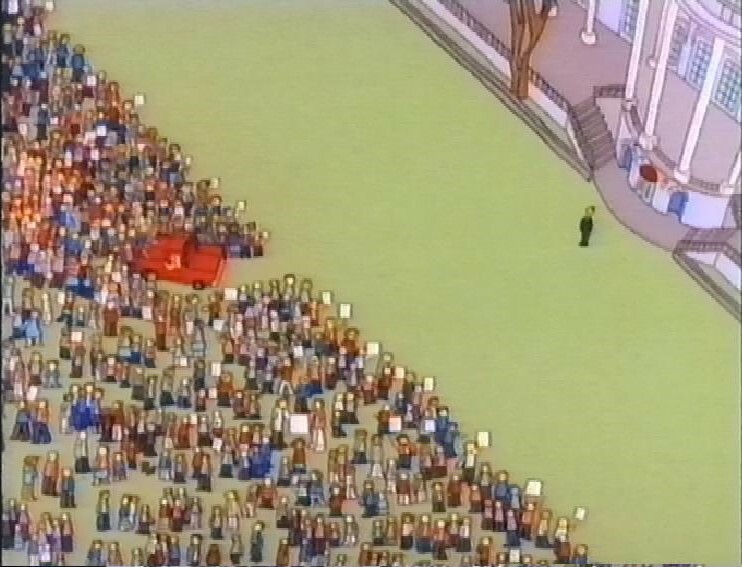 There’s a joke where Homer fantasizes about using a plow to clear protesters at the White House that definitely wouldn’t play today. Next, back to an older episode, with the strange Walter Matthau impression that Dan Castellanetta used to use. It’s Simpsons Roasting on an Open Fire. 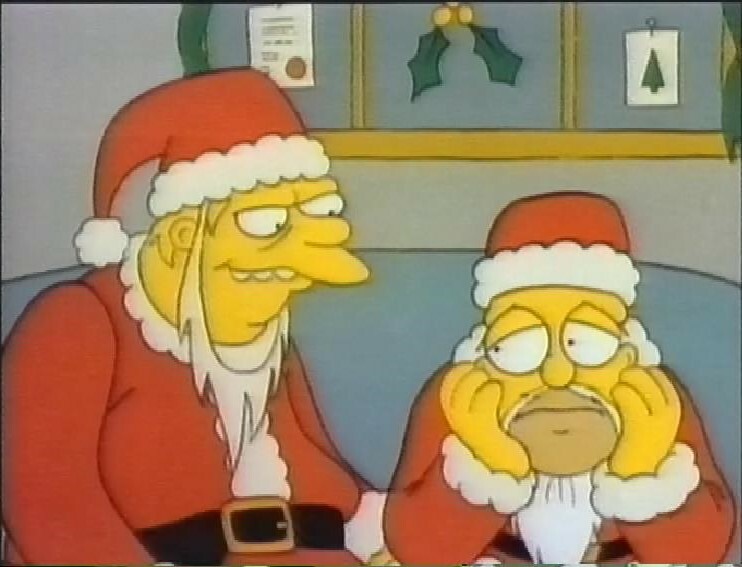 Homer doesn’t get his annual bonus, and tries to raise money by working as a store Santa. And the family gets a new pet. Next, a flashback episode, with Lisa’s First Word. 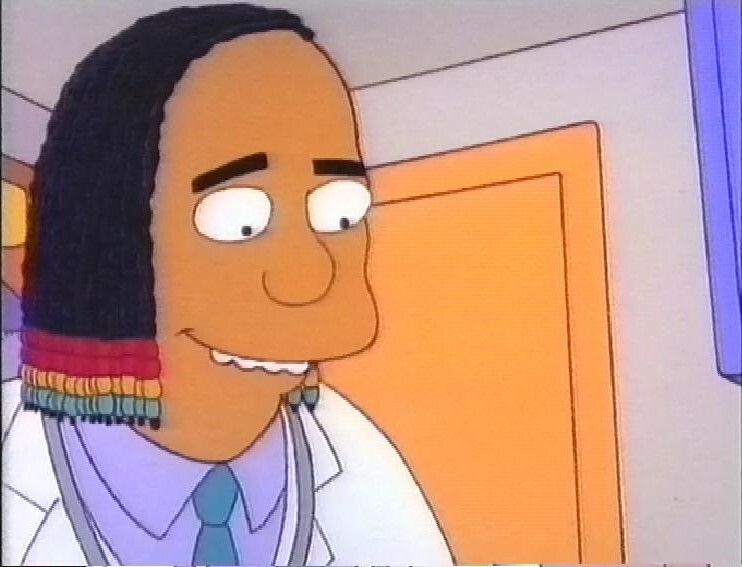 I like the young Dr Hibbert. 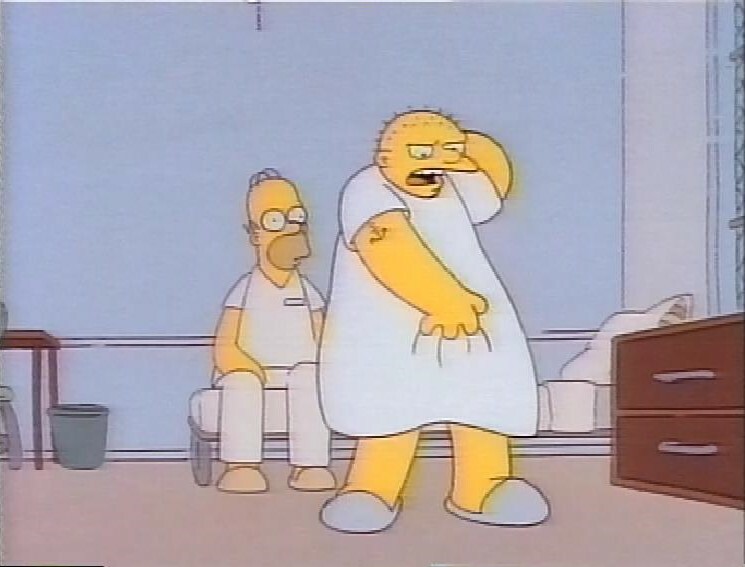 Next, Homer’s Triple Bypass. 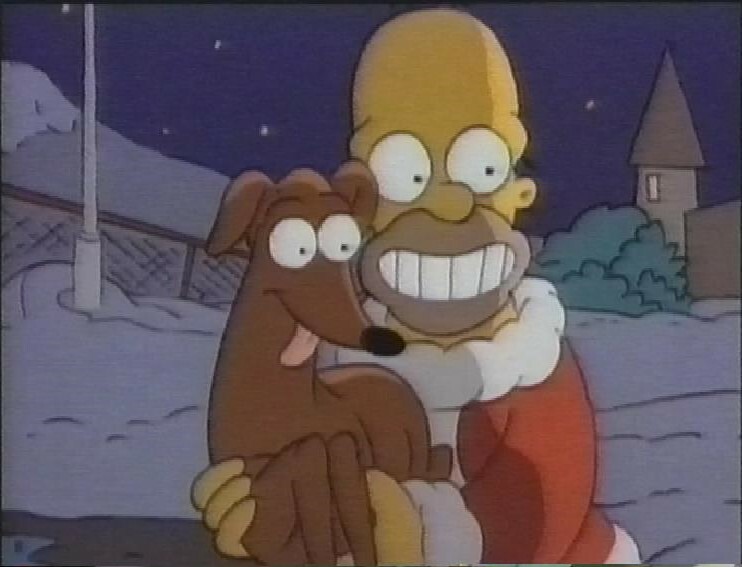 Homer has a heart attack. 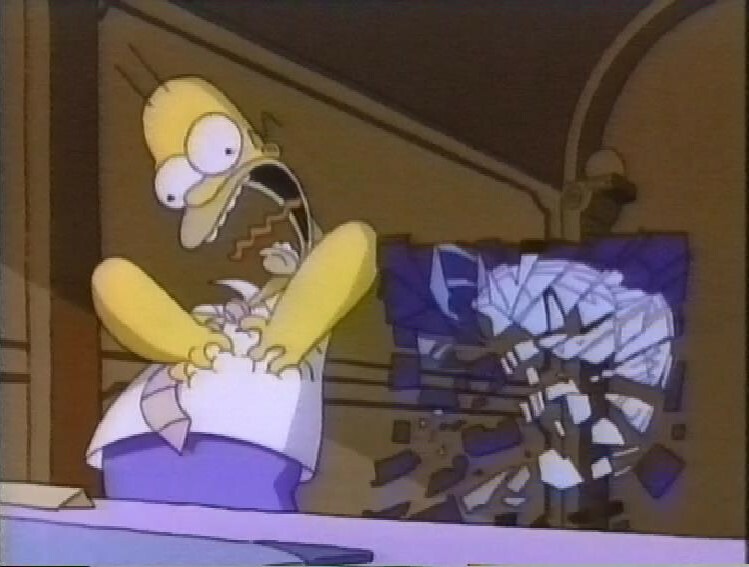 Marge vs. the Monorail is a parody of the musical The Music Man. It even features a musical number. 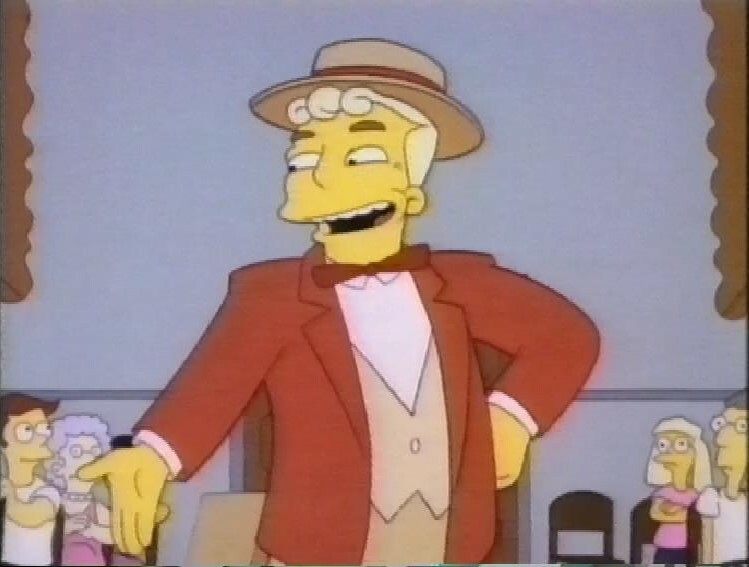 Phil Hartman (sob) plays the huckster Lyle Lanley who persuades the town to spend a windfall on building a monorail. 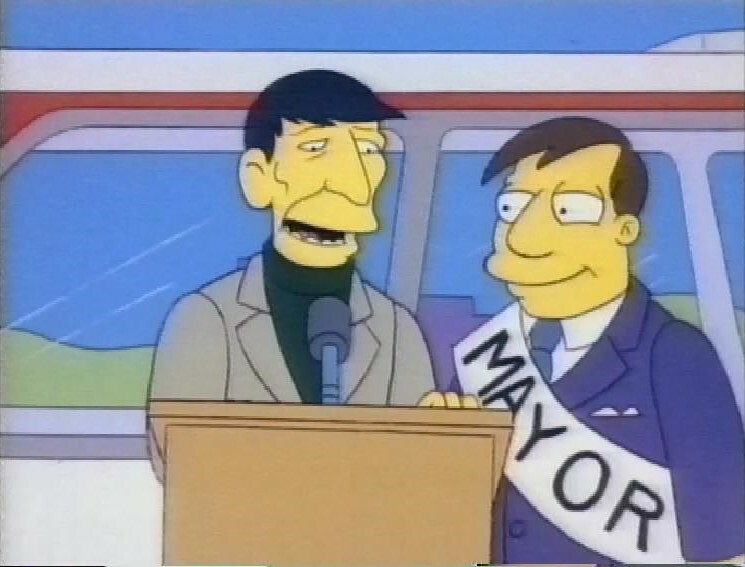 Next it’s Selma’s Choice and the family go to Duff Gardens, the great theme park sponsored by a beer company. As if such a thing would happen. Lisa drinks the water in a ride and has an adverse effect. 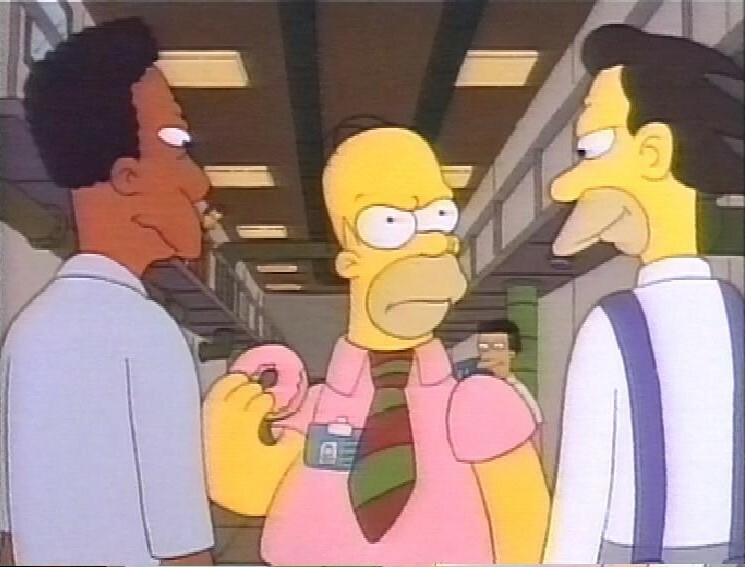 Finally on this tape, Stark Raving Dad, Homer’s shirt turns pink in the wash, and as a result he’s declared insane. 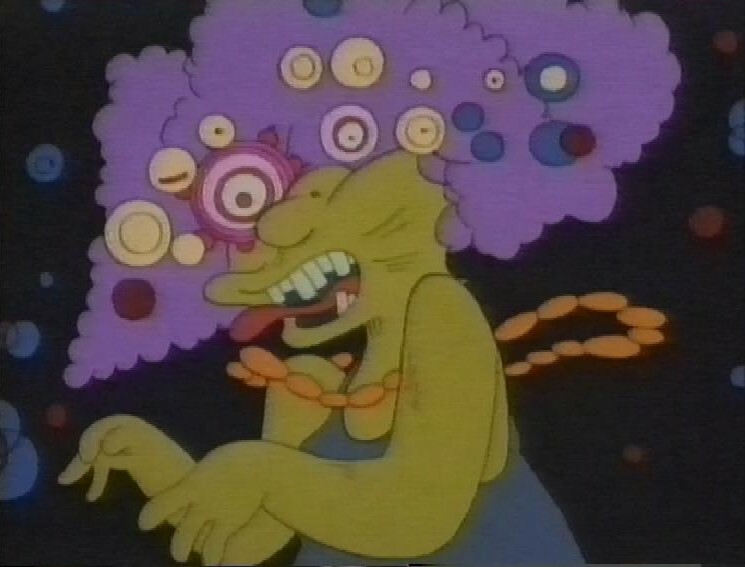 While in a mental institution he meets a man who thinks he’s Michael Jackson, who’s voiced by Michael Jackson. After this episode, the tape ends. 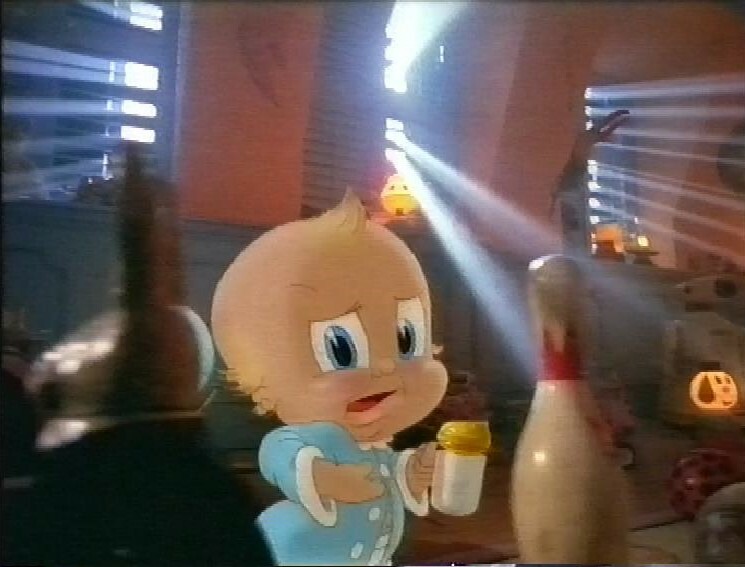 There’s a very short piece of an advert (for Milk I think) that looks like it was animated by the Who Framed Roger Rabbit team – shading and style looks exactly the same. Simpsons Roasting on an Open Fire is the first episode, I think. One of the reasons I stopped tuning in to Channel 4 hoping for new episodes is because they seemed to show this one all the time, and I got sick of it. Plus it looks and sounds weird compared with the slicker later ones.